I’m sure you’ve seen the coverage on TV of the disastrous bushfires happening in the Australia state of Victoria. Over 180 people have been killed so far, in a disaster which has left extraordinary damage. Some small towns around the town of Melbourne have been wiped out completely. Thousands more have lost their homes and possessions. Many fund raising projects are underway – most of the donations are being funneled to the Australian Red Cross bushfire Appeal. Darren Rowse at ProBlogger has put together a promotion in conjunction with SitePoint.com. From now until Friday (2 days left) when you purchase 5 books in PDF format, you get them all for the price of 1. The money you pay will then go toward the bushfire appeal. 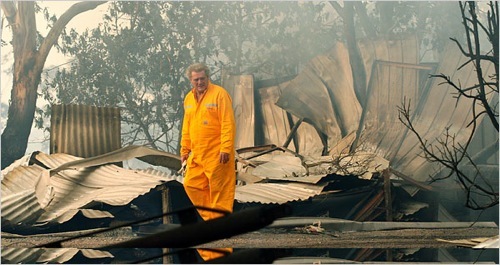 Visit the SitePoint offer to benefit Australia bushfire victims. You can mix and match titles and pick out the books that are the best for you. It’s definitely going toward a great cause, so check it out!